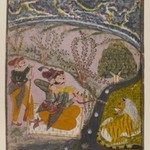 In the fifteenth or sixteenth century, a new genre of painting developed that attempted to capture the moods of famous passages of classical music in pictorial vignettes. 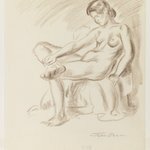 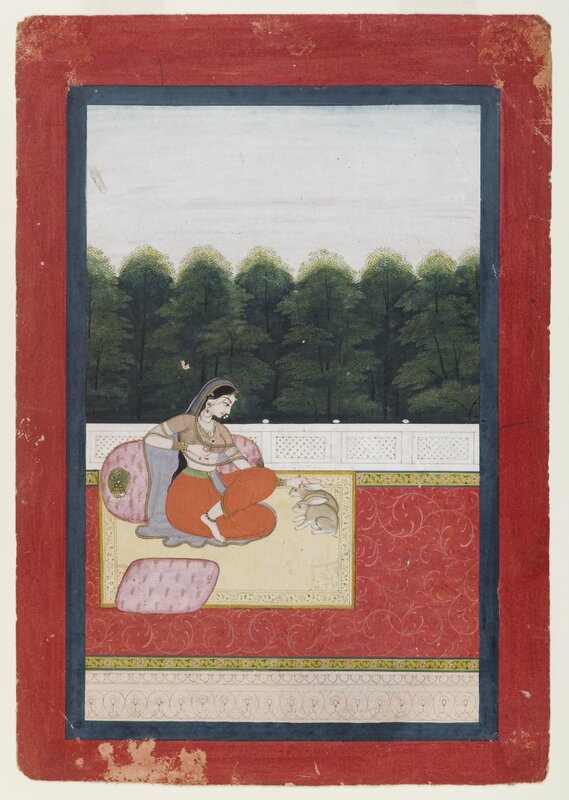 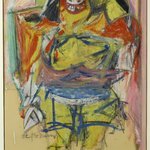 This painting depicts one of the most common scenarios for ragini paintings: a lonely woman passing time while her beloved is away. 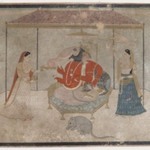 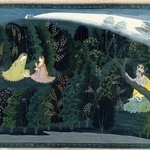 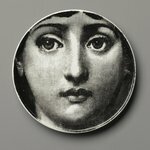 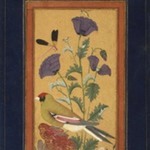 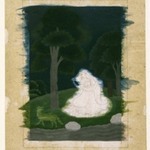 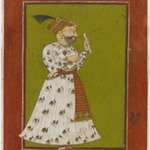 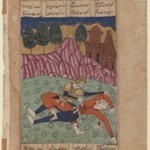 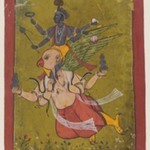 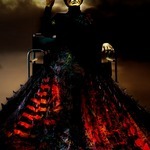 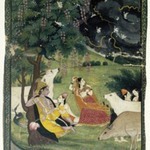 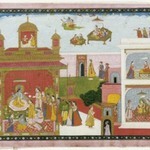 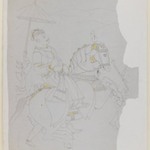 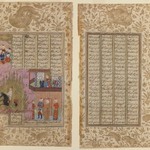 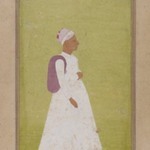 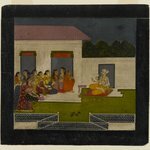 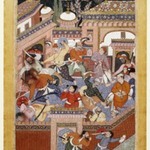 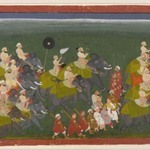 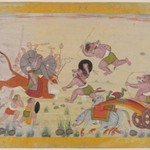 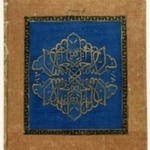 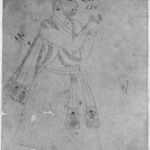 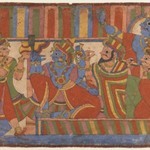 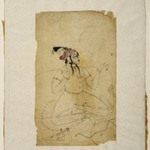 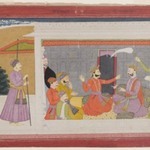 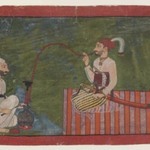 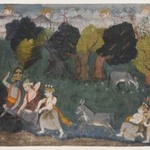 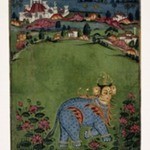 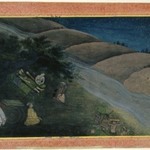 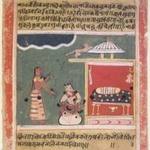 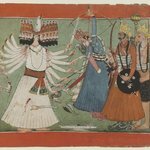 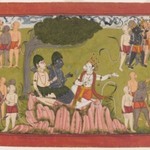 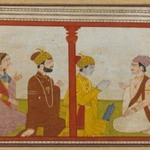 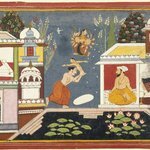 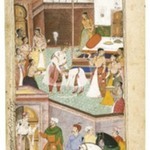 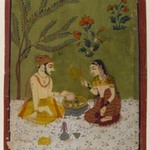 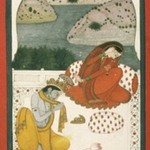 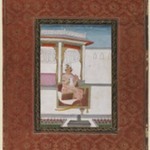 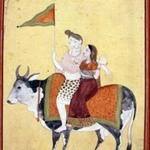 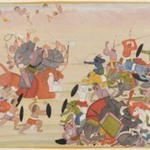 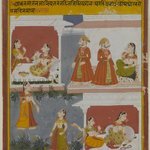 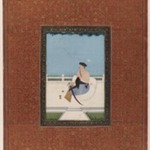 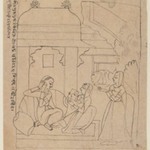 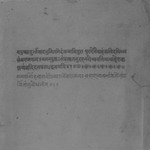 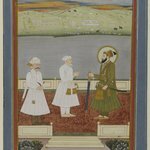 Dhanashri is not a well-known ragini, but it seems likely that it was a quiet, melancholy piece, much like this image. 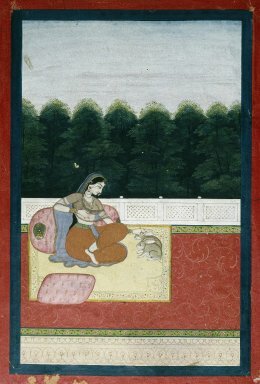 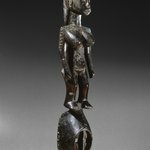 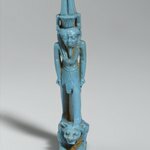 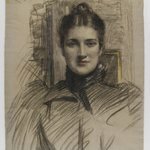 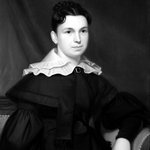 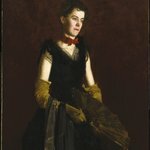 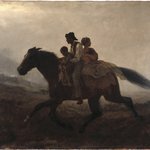 The woman’s solitude is here underscored by the presence of a pair of rabbits, animals that are famous for their fertility.